Description of Expertise: Mental Health Counselor Participated in AccessAbility Fest since 2007. Demers holds degrees in Pastoral Counseling, PhD., Psychology, Theology, and Business. With over 20 years of counseling experience in combined disciplines of Holistic, Cognitive, Dialectical, Behavioral, Marriage, Depression, and Mental Health. Dr. Demers specializes in Applied Behavioral Analysis. Description of Expertise: Michael is a Community Planner for VIA Metropolitan Transit’s Public Affairs Department. He’s been employed by VIA for over 26 years and has a background in Customer Service, Operational Planning and Accessible Services. He currently oversees public involvement activities for VIA’s High Capacity Transit Project program as well as coordinate and plan transit services with public agencies, major employers and neighborhood associations. Description of Expertise: Chief Psychologist North East ISD. Pam received her Ph.D. from the University of Texas at Austin, in Educational Psychology and her B.S. and M.Ed. in education from Texas Tech University. She also completed post-doctoral training in Marriage and Family Therapy at St. Mary’s University in San Antonio. She is currently employed as the Chief Psychologist at North East ISD in San Antonio, Texas. Her experience, over a course of more than 25 years, includes test development, administration of psychoeducational test batteries, development of individualized special education programs for students, counseling services, facilitation of legal and compliance issues, and supervision of appraisal staff in the public education arena. 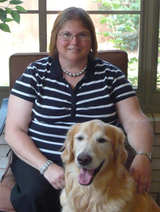 Description of Expertise: Volunteer Coordinator at San Antonio Independent Living Services (SAILS). She has previously been in the field of relocation. At SAILS she works in Advocacy, as well as Information and Referral, Peer Support, Volunteer/Internship as well as Social and Recreational Services. Paralyzed Veterans of AmericaI'm a National Service Officer with the Paralyzed Veterans of America since 2006. I served in the U.S. Navy 98-01 and started working for the San Diego County Veteran Service Office as a work-study while I attended City College. I found my self helping veteran through my work-study and decided to follow my heart and help those who helped me. Through the Paralyzed Veterans of America we assist veterans and their dependents with all VA forms recognized by the Department of Veterans Affairs. We also assist with Voc Rehab as PVA has there own counselor specializing with Spinal Cord Injury and Disease. Description of Expertise: Mrs. Sturgess graduated with a Bachelors of Science in Human Services Management and holds certifications in Cognitive Behavioral Techniques, Non-Violent Crisis Intervention, PMAB, and Child Welfare. 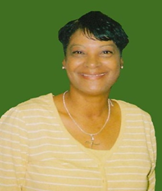 Mrs. Sturgess specializes in helping youth and adults with disabilities find meaningful and gainful employment, an area she has been involved with for 19 years. With proven expertise in preparing people with disabilities for employment, Job Adventures strives to motivate and challenge each job seeker, while providing for individual differences. Our customized employment services are designed to spark the interests and promote self-discovery within the job seeker. This is accomplished through our social and vocational skills training, exposure to employment pathways, and partnership with local employers in the community. Our goal is to help people with disabilities achieve success in the workplace while having an exciting adventure in the process! Celina Moreno became a member of the Texas Bar in 2010. She joined Texas RioGrande Legal Aid,Inc. as an attorney and Equal Justice Works Fellow to launch a school-to-prison pipeline project. She attended law school at the University of Houston and graduate school at the Harvard Kennedy School of Government. Socialization / Recreation Benefits of Adaptive Music Education Programs Mary Kathryn Archuleta graduated from the University of Colorado at Boulder with a Bachelor of Arts Degree in Psychology and Music Education. Since her own childhood, she has worked with handicapped children and adults. 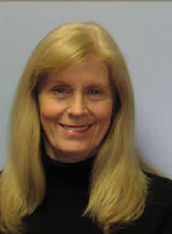 She is a specialist in the integration of Applied Behavior Analysis as a technique in teaching students with special learning needs. 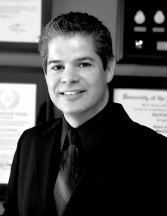 Archuleta is the Executive and Artistic Director of Dreams Fulfilled Through Music a non-profit agency dedicated to providing adaptive music education services and performance opportunities to all students with a variety of learning challenges.